London, Edinburgh, Dublin & New York, 9th September 2016 – London-based Xceed Group, a leading independent IT management consultancy, has today announced the appointment of Andy Boyes to the position of Managing Director of Scotland. Boyes joins Xceed Group with 28 years’ experience shaping and delivering business and IT transformation projects within large scale organisations. Working closely with the London-based leadership team, he will support and manage growth within the Scottish market. Boyes’ appointment will help bolster Xceed Group’s existing banking and financial services portfolio in Scotland, and also expand Xceed Group’s services into other Scottish industries. Boyes wants to help Xceed Group’s customers continue the shift to a customer- centric model by using agile platforms and holistic data to lower their cost base, better understand their customers, and deliver intuitive products and services more quickly. “I believe that technology is enabling organisations to become even more customer- centric and know we can help customers to ensure that technology and data are used more effectively.” says Boyes. 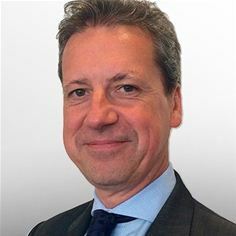 His earlier career saw him in the technology and systems integration practice at Accenture, before an 18 year stint as a partner at The Berkeley Partnership, an independent London- based consultancy. It was here that he led the IT delivery of a £44m multi-channel sales programme for a major UK retail bank, and shaped and managed a $100m per annum business and IT oil trading programme at a global energy supplier. Boyes’ appointment comes at a busy time for Xceed Group. Having recently completed a cloud provider selection process for independent international Lloyd’s insurance broker RFIB, the company continues to grow its financial services- focused teams for projects currently taking place in London, New York and Central Europe.